Talks are continuing between the parties trying to figure out the best way to eliminate the threat of mining on Mt. Emmons, but a “significant hurdle” has been encountered. It was reported at Tuesday’s joint meeting between the Gunnison County commissioners and the Crested Butte Town Council that mine owner Freeport-McMoRan is pushing to take some of the mining land on Mt. Emmons out of U.S. Forest Service control and transfer it to the company so it can more quickly address some of the clean-up issues. Such a move would essentially privatize hundreds of acres where tailings piles, treatment ponds and the water treatment plant are located. Not everyone involved with the negotiations is on board with that idea. “We had a meeting in Denver Monday and encountered a significant hurdle,” said Crested Butte town attorney John Belkin. “Freeport wants to clean up the site outside of the Forest Service purview. They don’t want to have to deal with the process and oversight of the Forest Service. Some call that privatization. Freeport said they want it transferred to more easily deal with the clean-up. There are obviously issues to be worked out and the best way to structure all of this is being contemplated. It will require untying some big knots. While the meeting was productive, it showed we have some thorny issues to deal with. Attorney Barbara Green, whom the town has retained to help with the situation, agreed it is an unusual situation for the Forest Service to oversee that kind of clean-up. The silos include the underlying base idea of a mineral withdrawal to permanently prohibit mining on Mt. Emmons. There is the clean-up and stabilization of the mine site. The elements incorporated into improved and consistent water quality standards for Coal Creek and the long-term future of the water treatment plant or a functional alternative are the last two silos. “The roots of the discussions remain how to accomplish a mineral withdrawal while meeting everyone’s needs,” said Green. Green said that everyone who needs to be at the table to get something done is part of the discussions. That includes the mine owner, representatives of the governor and state regulatory agencies, representatives of U.S. Senator Michael Bennet’s office and the High Country Conservation Advocates. Belkin said the land in question would amount to a couple of hundred acres where the water treatment plants sits and where tailings piles and treatment ponds are located. “It is a small slice of the thousands of acres of unpatented mining claims,” he said. 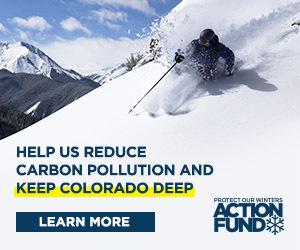 County commissioner Jonathan Houck pointed out the state had unique leverage with Freeport since the mining company had operations in other parts of Colorado. Green suggested a joint letter from the county and town be sent to Freeport signaling the desire to continue negotiations, while acknowledging the mining company’s good work on the site. “This could take a lot of time to totally accomplish,” admitted Michel. “I have trust in the staff and feel they understand the big picture and are moving accordingly,” said commissioner John Messner. It was agreed that a joint letter would be drafted and sent to the mining company from the county and town. “I think we all understand that the process will indeed take some time,” Michel concluded.